Following the sudden demise of our printing and design company in Cody, WY, I wanted to go “postal.” Instead, I went poetic. The line that released some of my anger read, “They smacked the gavel without a sound.” I really wanted to smack the banker. I write poetry to talk. I know It won’t reach that many ears, but expression is easier, more concise, and at times a surprise when it all comes together. The backspace key can obliterate the wrong word. The delete key stops a nonsensical train of thought. God is a poet. His magnificent landscaping, outdoor stage sets, nature as it is, can be captured by a poem written from the soul. When the right way to share takes months of deletes and backspaces, it may finally surface from knowledge and pictures stored from eons ago when we saw the world from spiritual eyes. A great photographer might set his alarm to wake for the exact moment the perfect light hits his subject. Music set to poetry readings allows open waves of harmony with words. I was at a poetry reading one evening where the poet recited a lengthy poem while waltzing with another poetess. It was totally captivating. An artist might set up his chair and easel to create in plein air, wanting to set down God’s poetry on canvas. And so a few years back, I agreed to organize a statewide “Poetry on Canvas,” event designed to mesh poetry and art, fitting winning poems with selected artists who interpreted the poems in fine art. At a gala night each year, winners read their poems as the corresponding art was projected on screen. A book of the winning poems and art was published each year through the Utah American Fork Arts Council. A few months ago some of my artist friends encouraged me to have art show. The Utah County Arts Board has agreed to hang my art. The vice president of the board mentioned having two artists show in the same venue and now there are three. I enlisted two of my sisters, Christie and Cathy. Christie works in oil and Cathy in acrylics. “Sister Art” will hang the month of August and the gallery walk-through will be at the Health and Justice Building, 151 S. University Ave. Provo, Ut, August 5 from 6:00 to 9:00 p.m.
Cindy Bechtold is a busy grandmother, tending her three-year-old grandson four days a week. 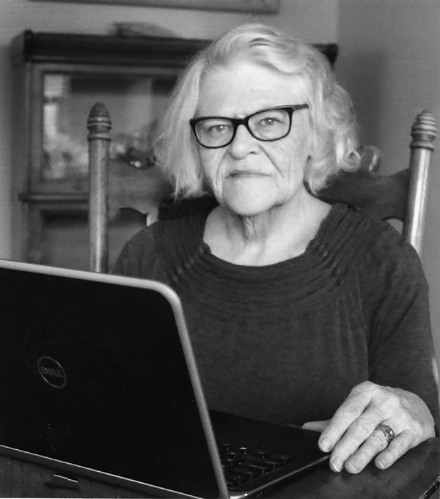 She’s past president of both “Word Weavers” and “Write On,” two Utah State Poetry Society groups. She placed in the annual L.D.S. music and arts poetry contest several seasons and has a children’s story published in the “Friend” magazine. Her poetry can also be found in “Golden Words-” for poets 50 and older, and in Panorama, a yearly UTSPS publication. Her poetry chap book, “Polished Edges” was published in 2011, by the American Fork Arts Council. You may Facebook or email her at cindy@spiritmountain.net.